Do you want confidence that your sales people are doing the right things? 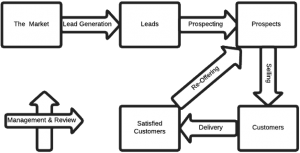 Do you want to integrate your sales and marketing activities and measure their effectiveness? Do you have the right go to market strategy? The Sales Cadence, sales management system has been developed over 30 years experience in sales, sales management and marketing in a wide vareity of industries. It is a 4 step process that is a combination of workshops, analysis, dashboards, and highly effective sales & marketing managements. The Sales Cadence, sales management system is currently limited to small to medium enterprises in the greater metropolitan area of Melbourne. If you are interesting in finding out when it will be available in your area, please contact us. Contact us now for a Free Sales & Marketing Health Check to get the ball rolling. Analysed International Markets, developed Market Entry Strategies, setup in Foreign Markets and won new business in the UK and USA. Conducted international lead generation campaigns in Australia, the UK, the USA, South Africa, Kenya & Nigeria for local and international clients. Conducting international sales campaigns in Australia and the UK to arrange prospect meetings as part of in market visits by clients, and general marketing including securing event speaking roles. Producing and leading trade missions to London Technology week in 2015 & 2016. We also have substantial International commercial experience, setting up new operations and companies in the UK, Romania, Hong Kong, Indonesia, and Vietnam. We have licensed new technology out of the USA and held oversight roles with operations in Korea. Market Analysis – Selecting the right market to maximize your return. Foreign Market Entry– Building the plan and introducing you to the right delivery partners in market. Direct Sales Campaigns in Foreign Markets – Building your sales funnel using our international partners. Distributor Acquisition in Foreign Markets. Contact us now for an International Growth Health Check, to get the ball rolling.